I flew a small regional jet from Detroit to LGA and Uber’d from LGA to JFK. Aside from the zoo that is the LGA construction zone, this portion of the trip was uneventful. Then the fun began. 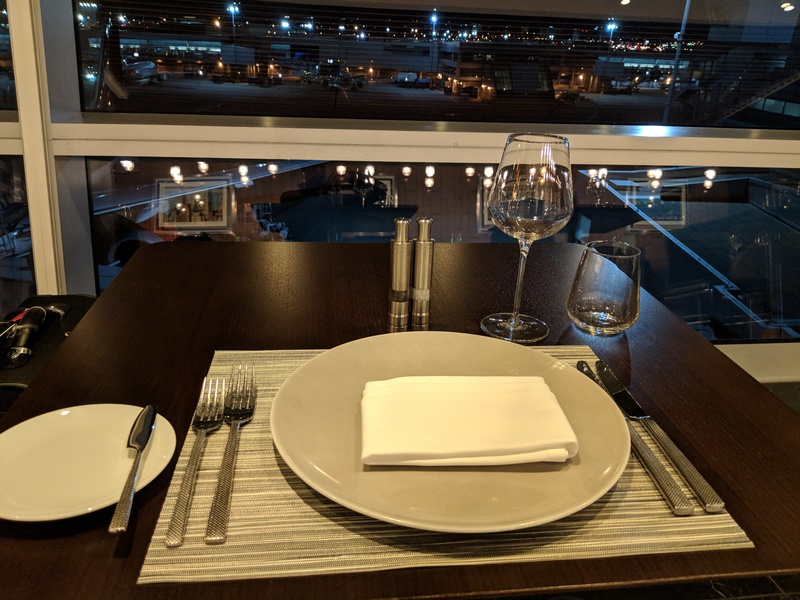 First, prior to boarding, I stopped by American Airlines’s Flagship First Dining Room which I was able to access with my Cathay Pacific First Class Ticket (booked with 100,000 American Airlines miles and $60 in fees). 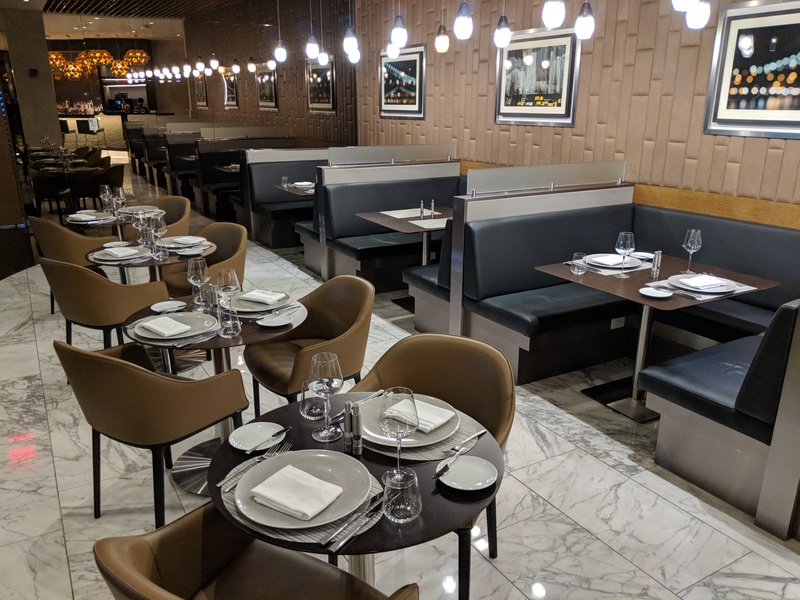 American Airlines’s Flagship First Dining Room is wholly located inside of its Flagship Lounge. 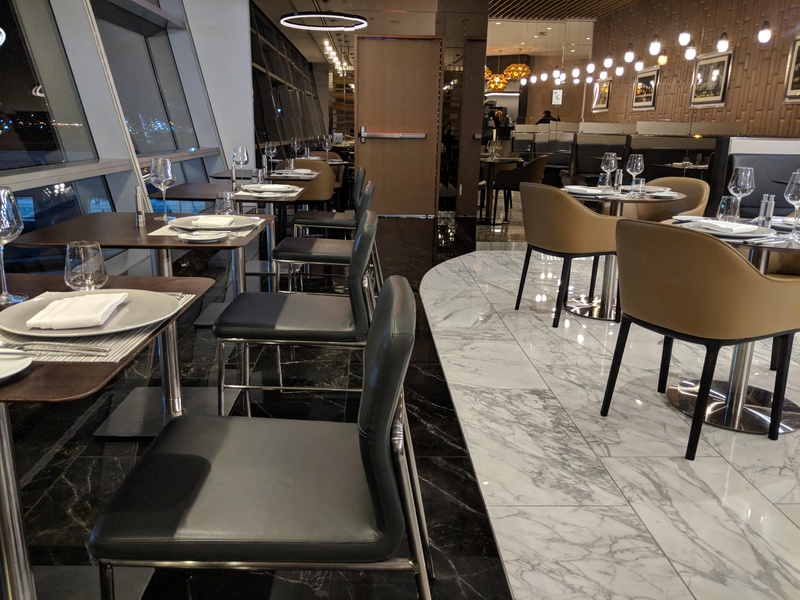 While I have visited the Flagship Lounge in the past, I did not have access to the First Class Dining Room–until today. 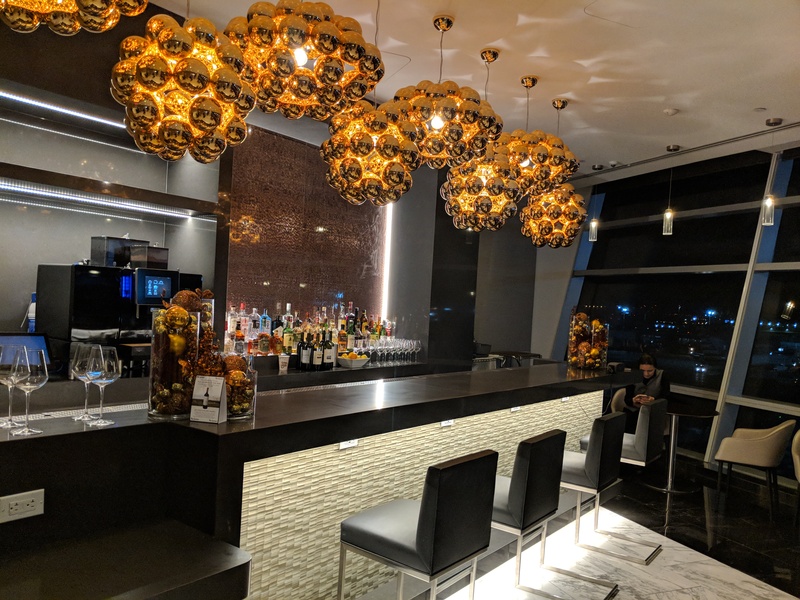 This time, I had the Flagship First dining portion of American Airlines’s lounge to myself. The bar had really cool looking lights. It appears that most if not all of the alcohol available at the bar was also available in the Flagship Lounge. 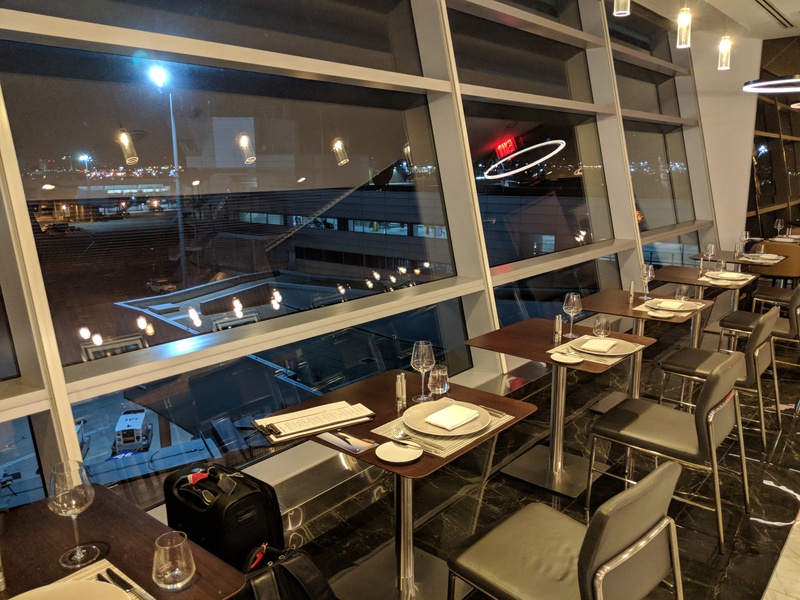 The tables near the window had an excellent view of OneWorld wide-body planes. There were three rows of tables. Clearly the lounge was near capacity. The mirrors at the end of the lounge makes it look larger than it actually is. The dining area was much smaller than I expected. The windows and mirrors make it appear larger in photographs than in person. The food was excellent. 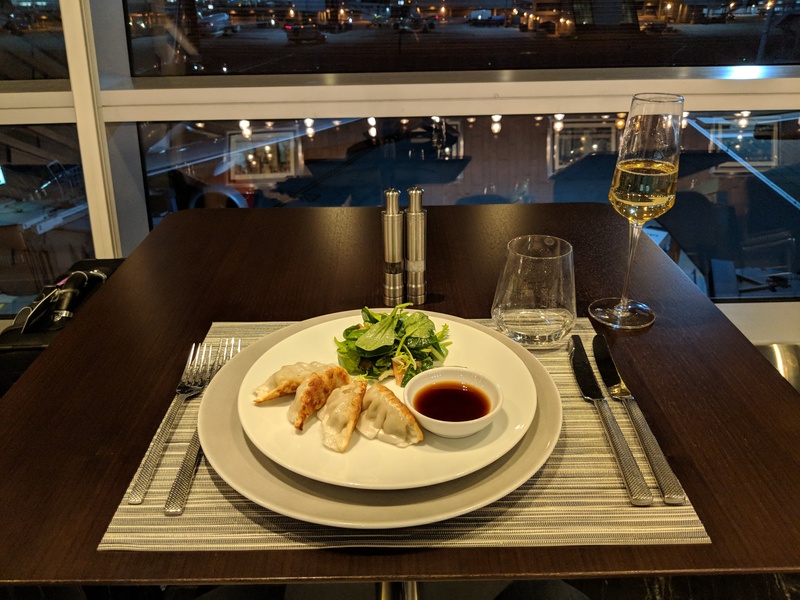 I knew that I would eat dinner on the plan (caviar and Krug champagne), so I wanted something light before I boarding. I’m not typically a kale or quinoa person, but this dish hit the spot. My view of several empty gates. 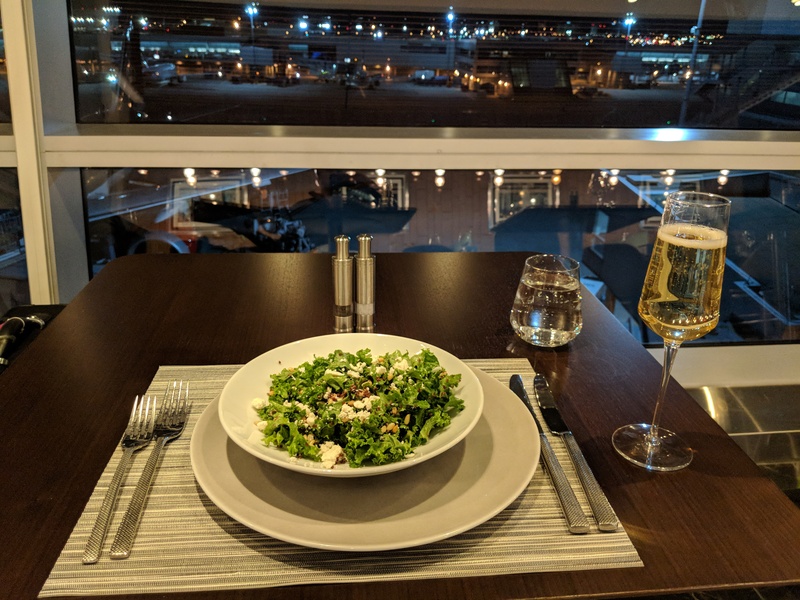 First, I tried the kale salad–it was really good (and I am not a kale salad person). The kale was crisp and the feta cheese/ honey lime dressing provided a nice pop to the flavor. I paired the salad with the 2009 Taittinger Brut champagne (approximately $100/ bottle). Second, I tried the pot stickers. The greens weren’t great but the pot stickers and sauce were amazing. The pot stickers provided the crunchy exterior/ creamy interior texture and the sauce provided the slightly spicy and complex flavor. Again, I paired this dish with the champagne. 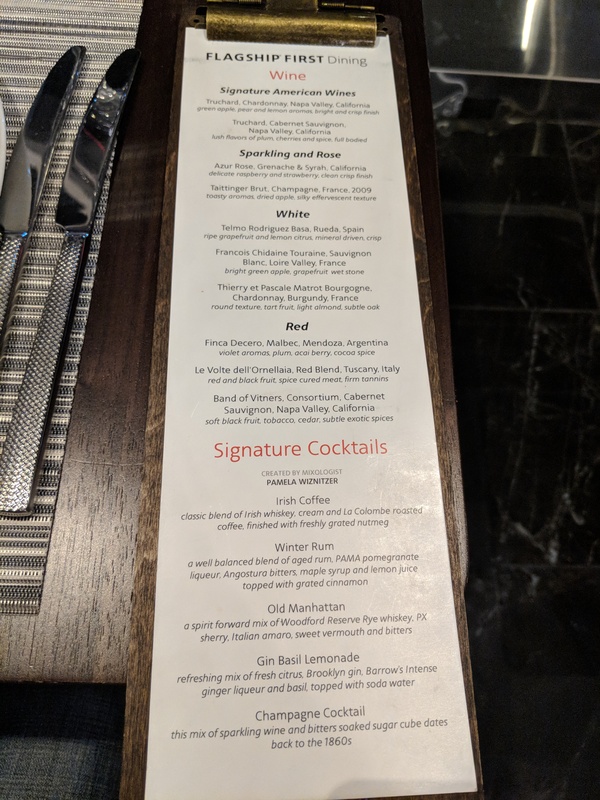 Pictures of the menus are included below. 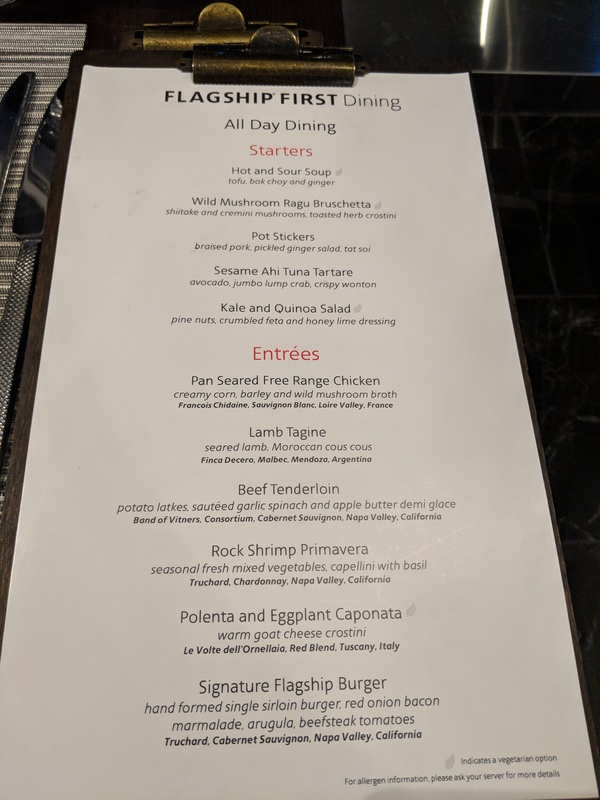 I would have loved to have tried the burger, but I was saving room for dinner that would be served on the flight. Bravo American Airlines. The food and drinks were excellent and definitely exceeded my expectations. While it was nice to have to have the dining room to myself, I hope that enough people use it to make the expenditure worthwhile for American. 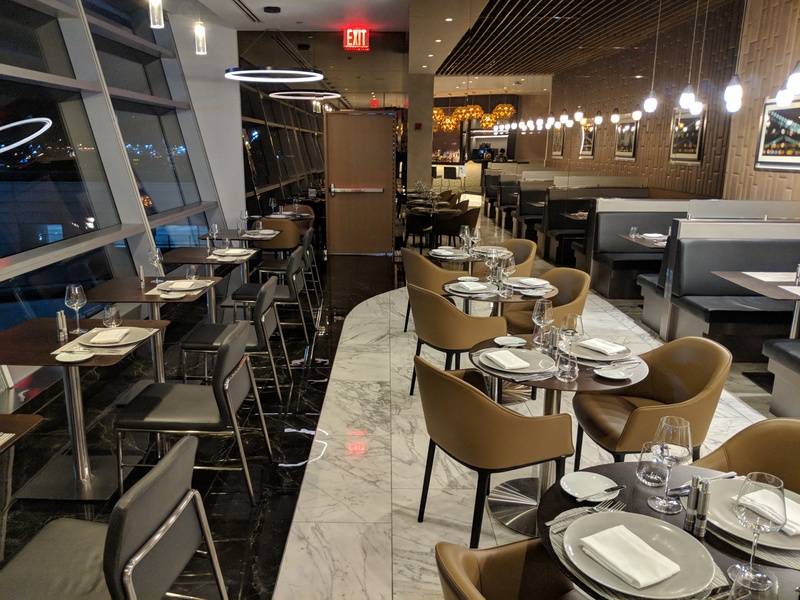 1 Comment on "American Airlines Flagship First Dining (JFK) – Review"